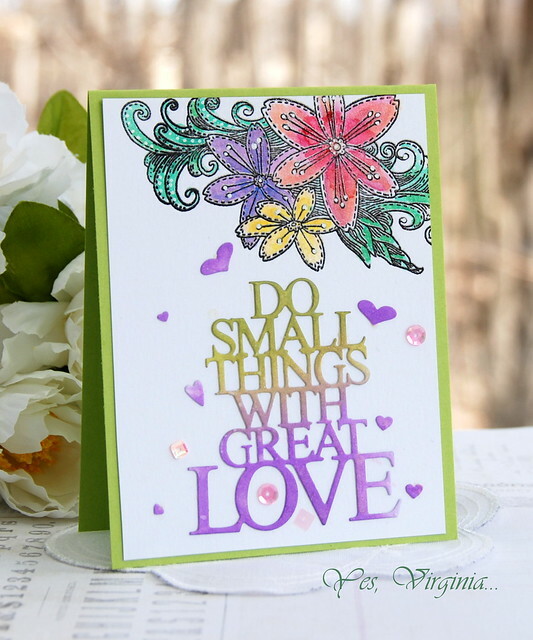 Today's card is a little unusual...I think it's either you like it or you don't. 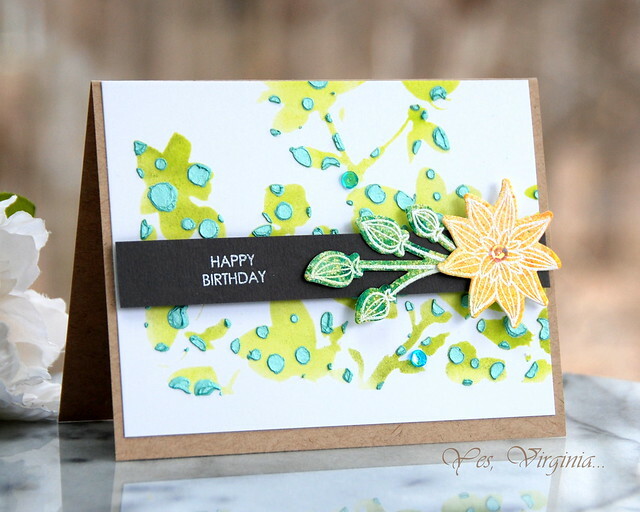 The textures from Tonic Pacific Teal Embellishment Mousse really gives this card a cool look, right? Ding--->I simply left the Floral Drape Stencil in place and then placed the Tiny Bubble right over. I then applied Tonic Pacific Teal Embellishment Mousse carefully. Lift and let dry! 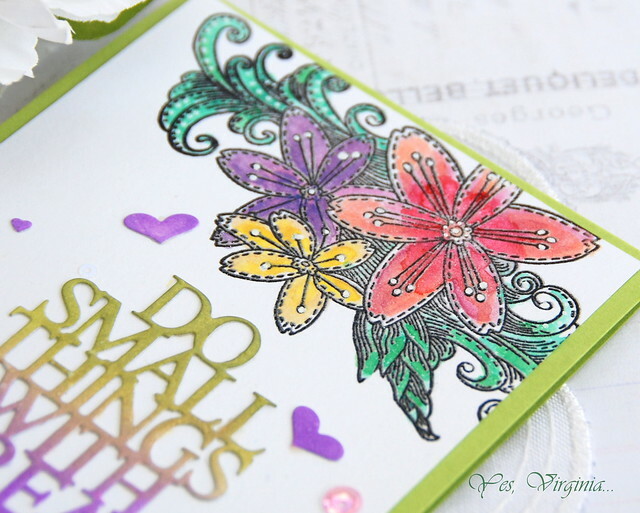 The Striped Flower Stamp and Die (SSS) makes it easy to work with such a funky background. 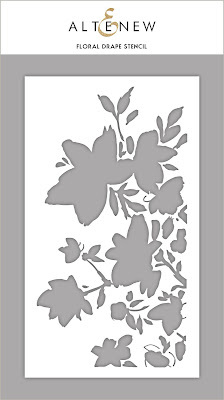 I added a piece of dark grey card stock to draw the eyes to the sentiment and flowers. So..... love it 😁 or hate it 😏? 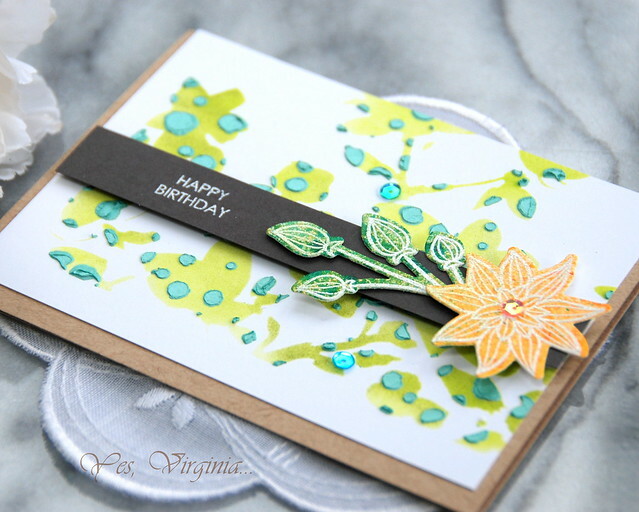 I have not forgotten to share the double color-layering stencil card. 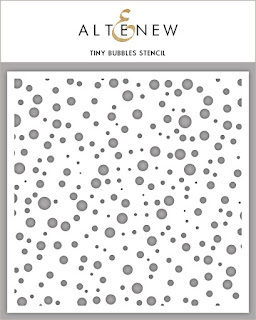 As soon as the supplies (Medallion Stencils A & B) are back in stock over Altenew and SSS, I will totally share! 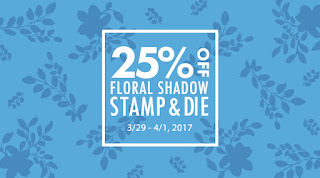 Don't forget to check out the Floral Shadow Stamp/Die 25% off sale ( details here). Now how cool is this large word die? I have been waiting for Distress Oxide Ink for a while and finally they came ( I got two so far and more to come! ). 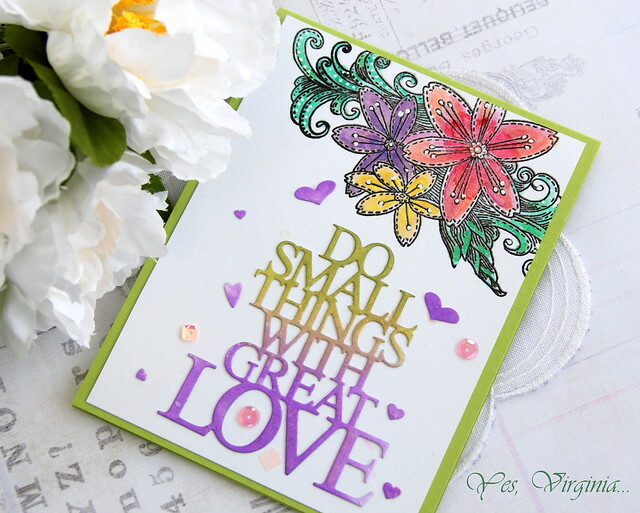 For the word die, I swipe the two Distress Oxide Ink onto thick card stock. The ink blended so beautifully... I can see why people are going ga-ga over Distress Oxide Ink now. 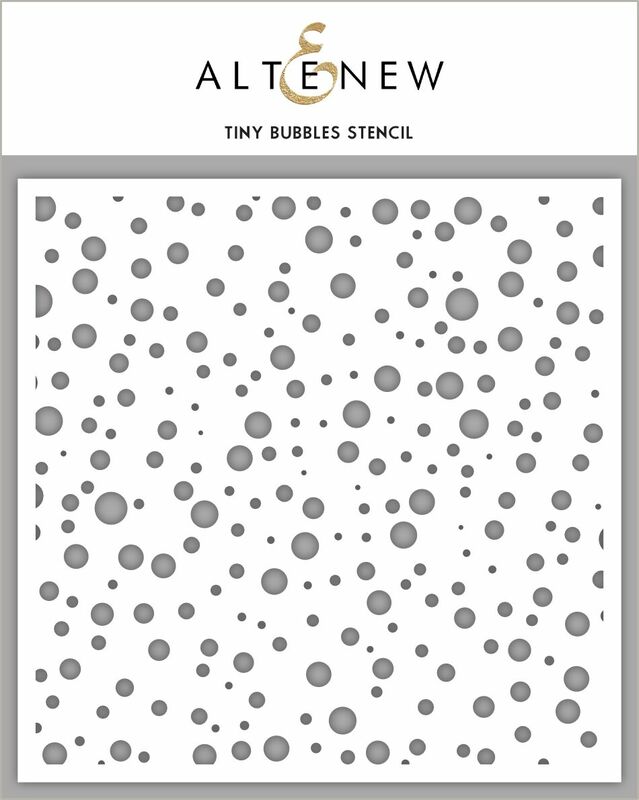 I use a few droplets of water and splatter over the ink and then made the die cut. Doesn't the word die look amazing? 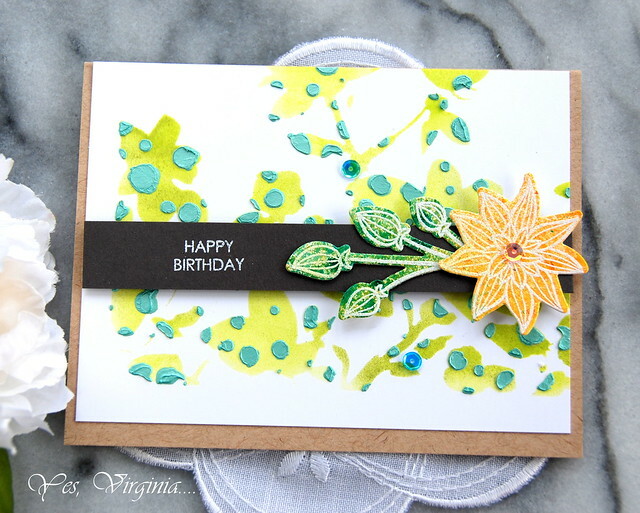 I then stamped and colored the Stitched Flowers on top. I think the word die and floral go hand in hand. I want to point out the Marker pen I used. The regular white gel pen never worked for me. I found this Sakura Marker Pen (White Extra Fine) and it is awesome! That's it for today! Thank you for stopping by! Simon Say Stamp Copic Markers Sale ends today! 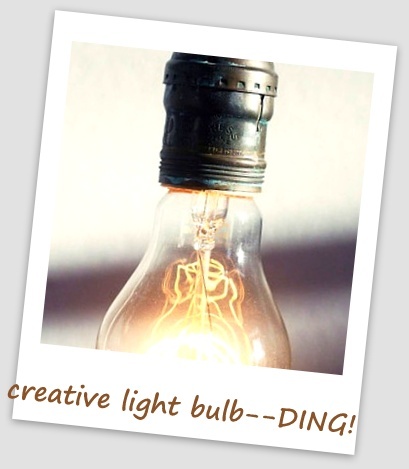 You can check out the latest here. A CARD and the Weekend SALE!